PLAYZONE(Indoor Play Building) OPENING TIMES Daily 11.30am - 10pm.Adult supervision is required as staff do not manage the play area. PARTY PACKAGES Are available at £6.99 & £7.99 please ring for details. CHARGES Free of Charge. Welcome to the wonderful county of Merseyside. If you need child friendly ideas where to take the kids, kids days out, or fun things to do with the kids in Merseyside then we can help. We have family pubs with kids play areas, soft play areas, indoor play areas, outdoor play areas, playgrounds, aquariums, castles, stately homes, children's clubs such as Scouts, Cubs, Beavers, Brownies, Guides, youth clubs, activity centres, Air, Sea, Army Cadets, and all in Merseyside. We list children's entertainers in Merseyside if you are planning a birthday, cinema, theatre, petting zoo, animal farms, children's farms, leisure hire, museum and art gallery, nature areas such as parks, and countryside walks and beaches. We have kids activities related to outdoor pursuits and sports such as swimming, ice skating, ten pin bowling and football centres. We list theme parks and Adventure Parks in Merseyside. If you are looking for zoos with more exotic animals then we have them. 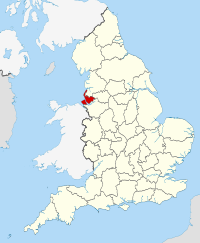 Don't forget to look at the nearby counties of Lancashire, Cheshire and Greater Manchester to see what they can offer you. We now list seaside towns in Merseyside, so grab your bucket and spade and head for the Merseyside seaside with the kids. We have days out with the kids in Merseyside in and near :- Bebington, Birkenhead, Bootle, Crosby, Formby, Greasby, Heswall, Kirkby, Knowsley, Liverpool, Maghull, Prescot, Sefton, Southport and St Helens.